This statistic shows which factors decrease willingness to work with market research. 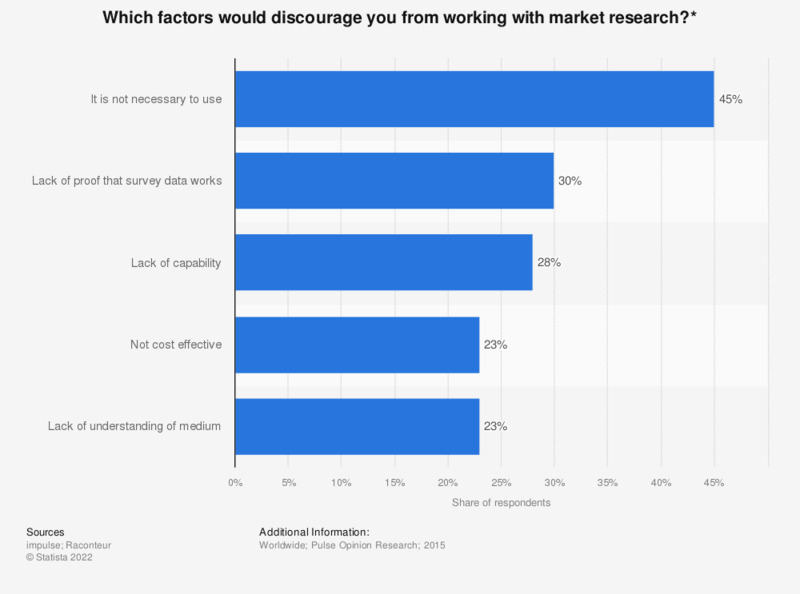 23 percent of survey respondents said they would not engage with market research as it was not cost effective. The source does not specify the number of respondents, or the type or date of survey.